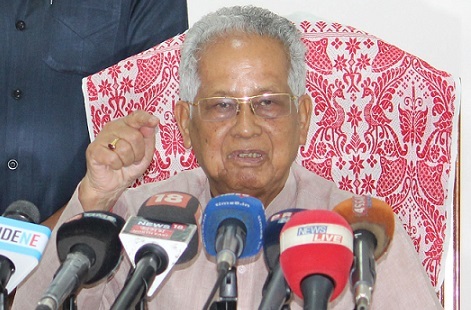 The former Chief Minister (CM) of Assam, Tarun Gogoi, ripped apart the Bharatiya Janata Party (BJP) on Tuesday in a Press conference in Guwahati and said that the saffron party, talking too much about Hinduism and Hindutva has, in fact, “boomeranged on the Hindus”. Talking about the forthcoming Panchayat elections in Assam in the month of December, Gogoi felt that the Asom Gana Parishad (AGP) and the BJP might “part ways”. He was optimistic that the Congress would put up a “good show” in the Panchayat elections. The former CM appealed to the people of Assam to celebrate Diwali with lights and “refrain from bursting high-decibel crackers which causes a lot of pollution”.